The Seminole Recreation Center was the host site of the 2013 GoodLife Games Pickleball venue this past Monday and Tuesday. The Tournament Director was Kristyn Sabbag of the Seminole Recreation Department. A good time was had by all. You are invited to stop by the Seminole Recreation Center and watch or join up to play Pickleball. 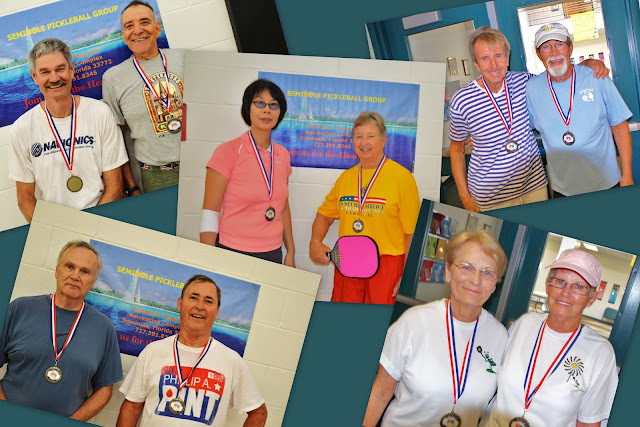 Pickleball is one of the fastest growing activities in America. Further information on Pickleball (an all-age appropriate activity) in Seminole can be obtained by calling Kristin at the SRC at 727.391.8345.